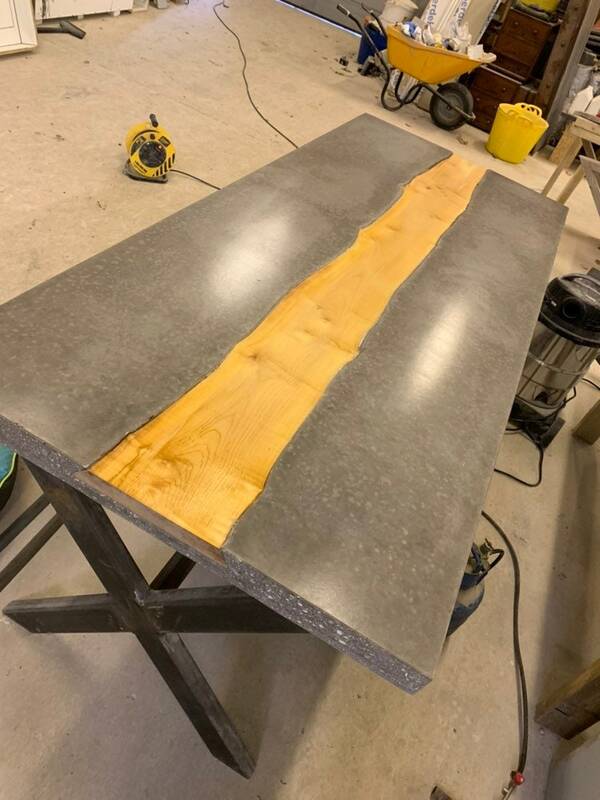 This is absolutely amazing, this is totally bespoke and a genuine one of a kind piece of art. 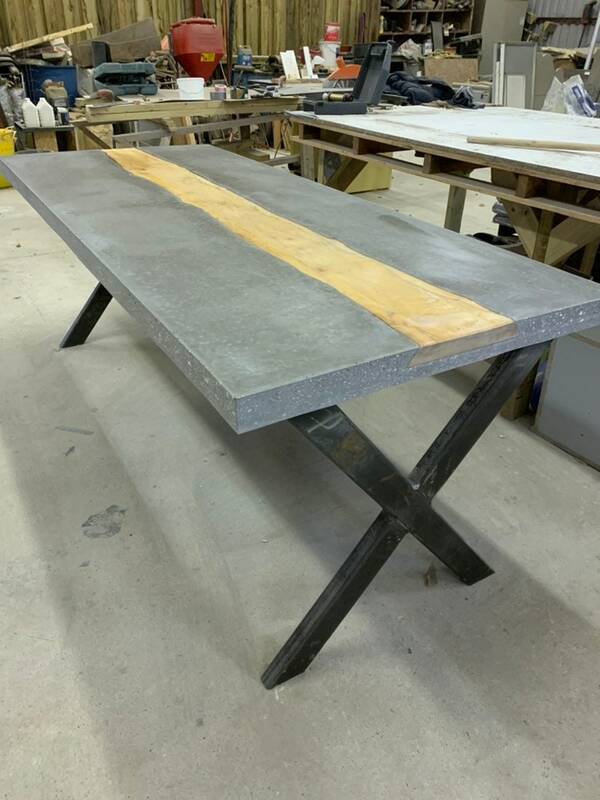 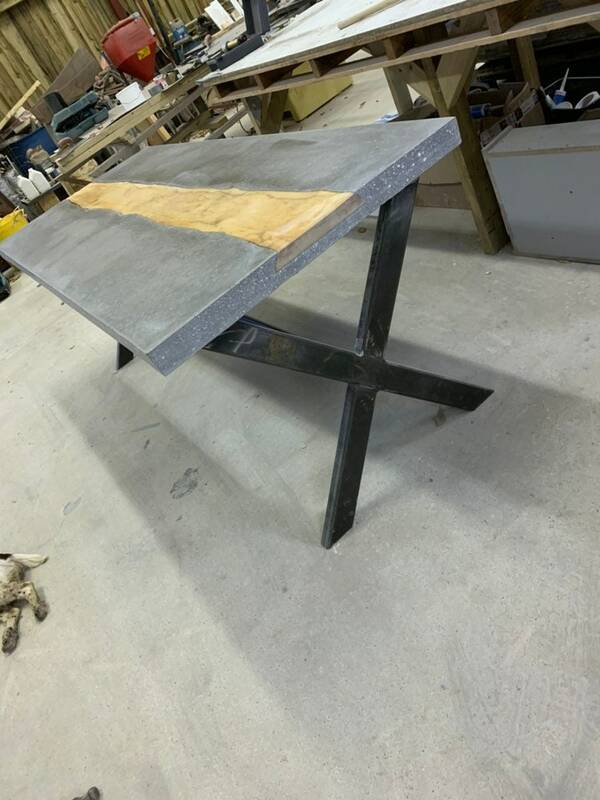 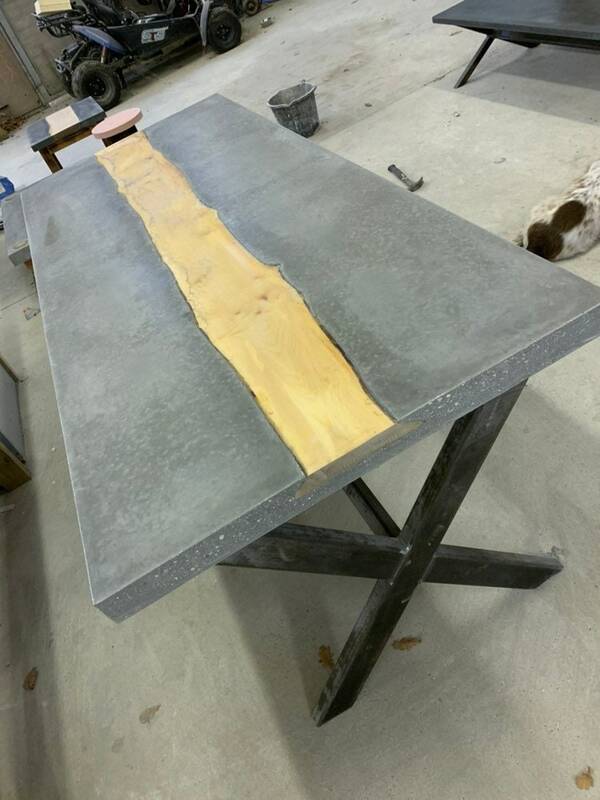 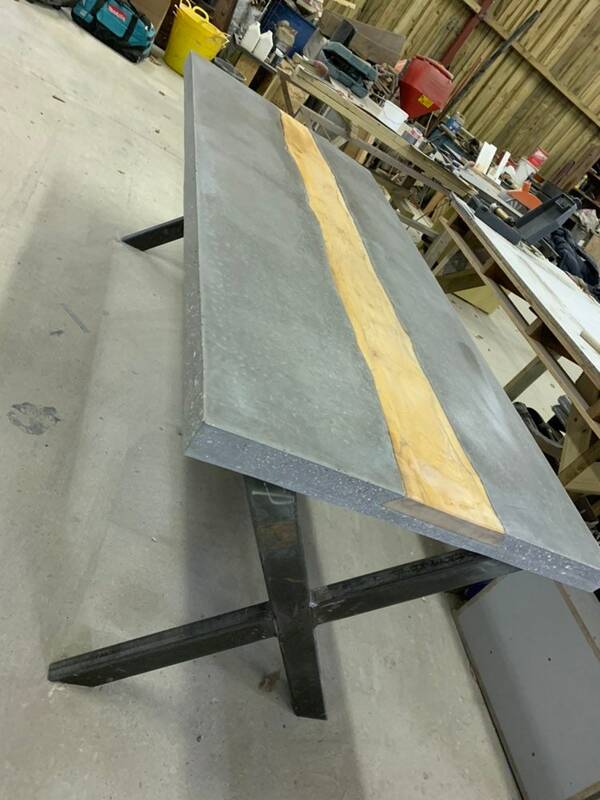 With the stunning live edge sycamore inset into the concrete and the exposed aggregate edges polished to perfection, the frame is a custom made steel box section crafted to give a real industrial design. 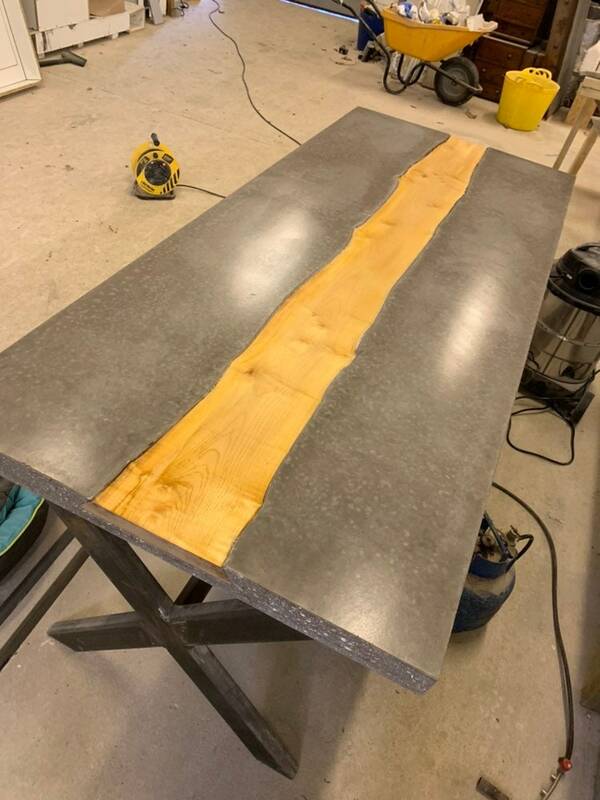 This table would be a real eye catcher and the topic of conversation at a dinner party, this would easily sit 8 + people around for a great evening. 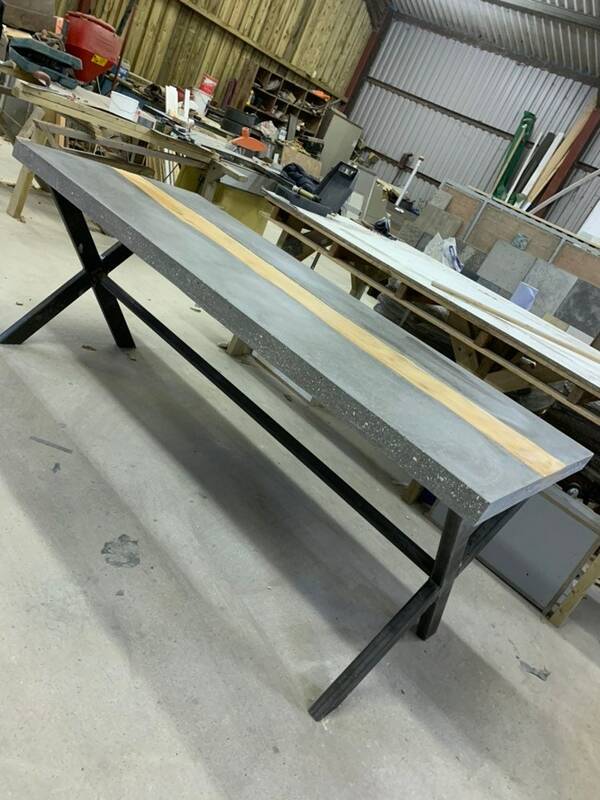 This is a heavy table and would need 4 people to move around a room safely.